On August 26, 2013, YKK Corporation of Tokyo, Japan, and YKK (U.S.A.) Inc. of Marietta, Georgia (collectively, "YKK"), filed a complaint in the Middle District of Georgia against Velcro USA Inc.("Velcro") of Manchester, New Hampshire, alleging infringement of United States Patent No. 6,720,059 (“the ’059 Patent”), “Fastener Strip Having Sealing Vertical Wall,” which relates to a fastener strip used in, for instance, foam molded products such as a cushion body used for an automobile seat. 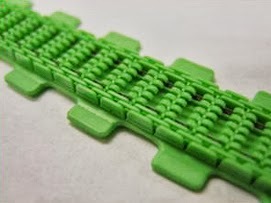 According to the complaint, both YKK and Velcro are in the business, among other things, of selling fastener products for use in various applications, and have sold and provided fastener products throughout the United States and in the Middle District of Georgia. Specifically at issue in the complaint are YKK'sQUICKFIT® fastener strips for use in foam molded cushion bodies used for automobile seats. The complaint alleges Velcro is infringing under 35 U.S.C. §§ 271(a-c) by making, using, offering for sale, selling and/or importing in the United States fastener strips, specifically Velcro’s 4GI fastener strips, that are covered by the ’059 Patent. The complaint also alleges that Velcro did so with knowledge of or willful blindness toward the ’059 patent and with the specific intent that the 4GI fastener strips be used in a forming method as claimed by the ’059 patent. YKK is seeking judgment that Velcro infringed the '059 Patent as well as enhanced monetary damages for the alleged willful infringement, injunctive relief enjoining further infringement, costs and reasonable attorneys' fees. The case is YKK Corporation et al. v. Velcro USA Inc., Case No. 5:13-cv-306-CAR, United States District Court for the Middle District of Georgia, Macon Division, and is assigned to Judge C. Ashley Royal. Jonathan Howell contributed to this article. Lawyers in our Intellectual Property Group have many years of experience in all aspects of intellectual property law, representing international, national, regional and local concerns. The legal and professional representation of our clients is complemented by our very personal involvement with our clients and our willingness to be flexible in the manner in which we approach our clients’ projects.